We all know of someone who has tried progressive lenses in the past and had difficulty adjusting to them. 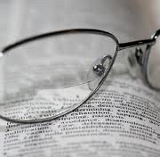 Most consumers do not realize that there are dozens of types of progressive (no-line) multifocals. Some of the less expensive brands will save you money but may cause more aggravation because of their smaller areas for viewing. At Normandy Optical, we offer Varilux and Zeiss progressive lenses which are designed with the latest technology which makes adjusting to them easier. Similar to the various types of progressive lenses discussed above, there are many different brands of non-glare, or anti-reflective coatings. If you have ever had a non-glare coating start to peel or cause your glasses to become hazy, it was most likely an inferior product or it was applied incorrectly at the lab. Non–glare treatments are an excellent addition to your lenses. Not only do they allow more light to be transmitted through the lens, they also reduce glare from such things as oncoming headlights and the computer screen. They also improve the appearance of your glasses. This results in sharper, clearer, and more comfortable vision. At Normandy Optical, we use Crizal non-glare lenses. The material is actually integrated into the lens instead of applied as a coating on the surface of the lens. This makes the lens less prone to degenerating over time. In addition to reducing glare, they also resist scratches and smudges, and repel water and dust. Crizal treatments are guaranteed for two years.